I have to admit, I miss the college days. Sleeping in, fraternity parties, Greek Week (go Delta Zeta! ), and spring break! A week of doing whatever I wanted. Being a Southern California girl, the beaches are plentiful and close by. If I were still in school I'd be hang out by the ocean and relaxing. Doesn't that sound perfect? I could definitely go for that right now. Why exactly don't we get a spring break from work? Whether you get to enjoy spring break or not, I have something to make yours a little brighter - a giveaway from The Altered Chain! Earlier this week I blogged about the greatness that is this affordable jewelry shop and many of you expressed your love for the Gold Branch Ring. Now one lucky reader will be the proud owner of this beautiful piece! One winner will be selected and announced on Thursday, March 15. Good luck! CONTEST CLOSED! The winner is Alyson of The Average Girl's Guide. Congrats, girl! Perfect outfit! I LOVE the fedora especially! Hurry up Summer ! great outfit girl! love those sunnies. I am jealous of how you have the option of going to the beach...It's a little far for me, lol. Silly Wisconsin. So far from oceans. Cute outfit! Love the Cali love T! I follow you and I WANT that ring! That ring is my favorite piece! Followed The Little Brunette Mermaid! I love her blog name! That outfit is just perfect. I'm from SoCal originally but I'm living in central germany (no ocean!) and everything about this outfit is making me miss home!!!!!!! ooooo yay! I'm so excited! I already follow you on GFC! 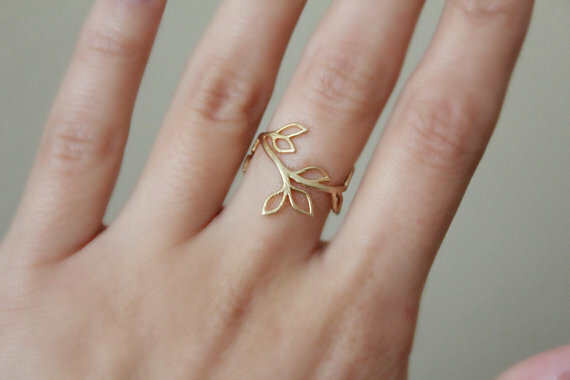 And my favorite item is the branch ring you're giving away! Oh man I love it! Now following the little brunette mermaid! Gosh I hope I win! This would be so awesome! I like the turquoise necklace on the site- the very last peice.. so beautiful and great for spring! That ring is adorable! I follow your blog. LOVE LOVE itttttt - you always come up with great outfits! Oh, what a fabulous post! I love that striped bikini top, it's perfect for spring break! And I love that ring giveaway! I follow on GFC of course! Hope you have a great weekend! Cute outfit!! I am definitely a follower! 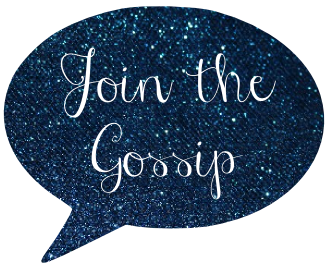 I Like Join the Gossip on Facebook! I follow The Little Brunette Mermaid! I'm obsessed with that ring! I'll be pining over it at work all week while all the college kids are on the beach. I liked the Altered Chain on facebook too! Love the bag you chose for your Spring Break outfit. Have a great weekend! My next favorite piece has got to be the Dancing Pearl Necklace! that ring is so beautiful! and I am just loving that blue and white striped bikini! That ring is SO cute! I follow you on GFC! I love your laid back Cali Spring Break outfit! We follow GFC. I love so much of what I see on The Altered Chain, but I have to say that I'm especially loving the Lunar Gold Necklace! I really like the emerald glass drop earrings! that's such a pretty little ring! love it & would be proud to wear it! And I would love to win that adorable ring! I'm going to like Join the Gossip and The Altered Chain on Facebook from my blog's account, and I already follow you on GFC! Also, I think that ring you picked is my favorite piece, but the Gold Leap Drops earrings are pretty cool, too! such sweet choices! love the hat. I'm now following you via GFC, i swore i already was! Hopping over from Kori's blog hop today! Hope you have a great weekend. I follow you of course and I loooooooove this ring! It's the perfect blend of bling & delicateness. SO CUTE! My favorite piece by The Altered Chain is the Big Branch Necklace in silver (besides the ring of course!)! Perfect outfit. I wish I lived close to a (warm) beach! Ours are all mud and rocks. Oooh, that’s the ring I love! I follow! I like Join the Gossip Facebook. I "like" Join the Gossip on fb! Following and isn't that just the sweetest little ring??? Off to check out the rest of their goodies! I also participated in Friday's Fancies and would love it if you would stop by my blog. I'm also following you through GFC! Hope you have a GREAT weekend!! I want to wear that on my imaginary spring break. Love that bathing suit, so cute!! Omg that ring is SO pretty! Love it. OMG, i love that ensemble. where can i get that cali love tank top? Great outfit, perfect for sightseeing or hanging out on the beach. I follow via GFC. I dont want to enter but it's sooo pretty! Just came by to say hi - but what a fun giveaway you are having! Of course I follow and also liked your page. that ring is to die for!! please come check out our new online jewelry shop where everything is under $20! I miss college days too :( So so so much. And I wish work got a spring break too. It'd be such a nice way to refresh!!! I love the outfit you put together! Such a cute hat too! I need me one of them! I follow Join the Gossip on GFC. My favorite piece from the shop is the gold leaf necklace. i follow you via GFC, Twitter and Facebook! Fedora! I really want one! :) Oh and of course I follow you! That ring is LOVELY!! My fave piece is the Gold Atom Earrings! I want to buy them! I liked The Altered Chain on FB! i def NEED this whole fit. looks cali summer friendly. only issue being, i look TERRIBLE in hats :( wish i could pull them off. My favorite piece is the gold vintage bracelet! I liked the Altered Chain on Facebook! I also follow The Little Brunette Mermaid's blog!